One of the defining characteristics of the 21st Century is the extreme abundance of affordable consumer products available on the market. Furniture, appliances, electronics, clothing, and more are so readily available that people no longer repair them when they break or pass them on to their children. As a result, another characteristic of our modern society is the sheer amount of junk we generate. It’s extremely difficult for many people to physically remove their old items from their homes, and they often have no way to transport it and no idea where to take it. That’s where you can come to the rescue – by starting a junk removal company. Aside from very rural areas, junk removal has become an incredibly lucrative business across the majority of markets in the United States. Whether you live in Louisville, Harrisburg, West Palm Beach, Denver, or Sacramento, the industry is still growing, and there is plenty of room for new junk removal companies to find their niche. This makes starting a junk removal company (as long as it’s done the right way) a highly lucrative endeavor. Of course, this is not the only reason why you should get into junk removal, although it is probably the biggest one. Starting a junk removal business just requires the right know-how. That’s where JRA comes in. Not everyone can handle the hard work involved in the removal, hauling, and disposal of junk. Furniture, concrete, hot tubs, pianos, and even TVs can weigh hundreds or thousands of pounds, and may require proper demolition or disassembly with special tools. Many people are unable to lift or safely demolish the items they need removed. In addition, many of these items require large trucks to transport and knowledge of disposal procedures to safely and legally get rid of those items. For the community, junk removal services play a key role in keeping indoor and outdoor areas clean and junk-free. There’s nothing more unsightly than a large pile of junk sitting on the street, rotting away slowly and serving as a potential safety hazard. As a junk removal business owner, you’ll often be called upon to remove bulky items left behind at apartment complexes and rental houses, or piles of debris left on streets (which municipal garbage collection services will not touch). Aside from the money you’ll be bringing in, it feels good to provide an important service and make a real difference in your community. And you’ll be able to drive through your clean city and see your handiwork quite frequently! As a junk removal business owner, you’ll need some people to help you. Even if you’re on the truck every day, you’ll still need at least one other person to help you lift and carry many items. As your business expands, you’ll need to hire additional truck team members, as well as office personnel like a bookkeeper, dispatcher, telephone/booking agent (or the JRA Call Center). Hiring people to fill these roles not only helps you grow, but it also provides jobs for each of your employees. As a junk removal business owner, you must be aware that not all types of junk can (or should) be disposed of in the same way. For starters, the EPA sets certain regulations, and state laws cover everything from tires and TVs to appliances and paint. You’ll need to be very familiar with your local regulations and accepted materials at each disposal facility to make sure you’re disposing of items in a legal and environmentally responsible manner. In addition, you have the opportunity to donate and recycle items that would otherwise be taken to a landfill. Clothing, furniture, building materials, and more can be taken to donation centers (Goodwill, Habitat for Humanity, local thrift stores, etc.). This not only saves you money in disposal fees, it’s also great for the environment because it keeps things in use rather than in landfills – and saves the materials and carbon footprint of producing replacement items. Start Your Junk Removal Business Today! Starting a junk removal business is a great way to make money, provide a valuable service for your community, provide jobs for people in your area, and do your part to help the environment. 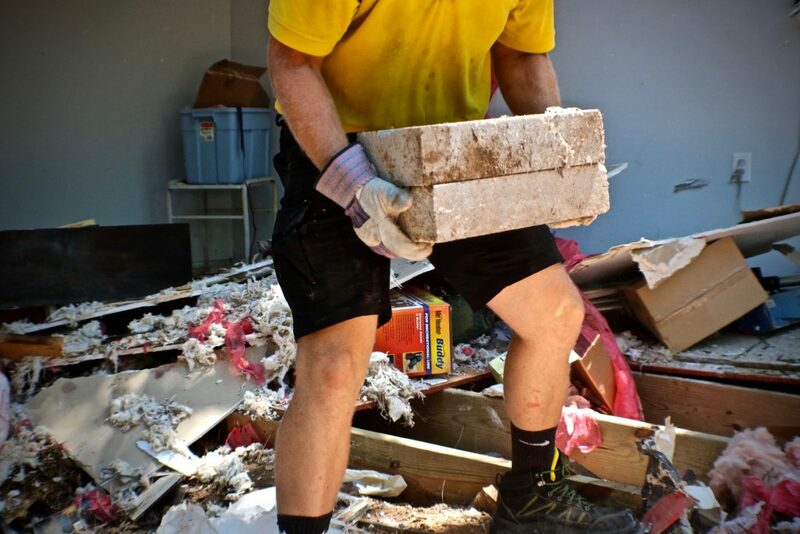 If you’re ready to get started building a successful junk removal business today, or if you have any questions, you can get in touch with us at 919-617-1975. Call us!